In this review I would like to share my experiences with the Samsung 45mm F1.8 lens. It can be bought for a recommended price of 299€. The lens is quite small (4.5cm depth, 43mm filter thread) and lightweight (only 115g). Optical image stabilisation (OIS) is not integrated. iFn is supported and a dedicated switch for AF/MF is present. The lens is also available as 3D lens which can be used to take 3D images as well. When using the 2D mode both lenses are mostly the same. You can find the most important aspects of this lenses specification in the NX lens overview or in the official technical specifications. 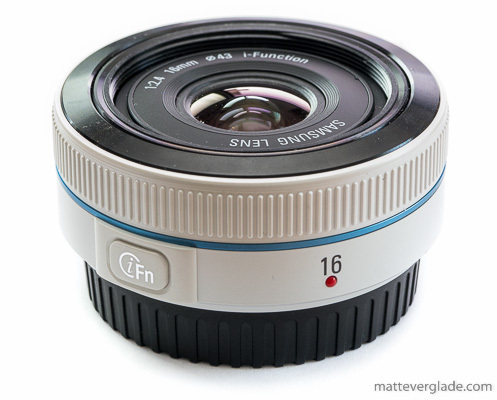 In this review I would like to share my experiences with the Samsung 16-50mm F2-2.8 S ED OIS. It’s the first ‘S’ lens, which is Samsungs brand for premium lenses, like Canon has their ‘L’ lenses. The lens can be bought as a bundle with the NX1 and is also sold separately for a recommended price of 1299€. 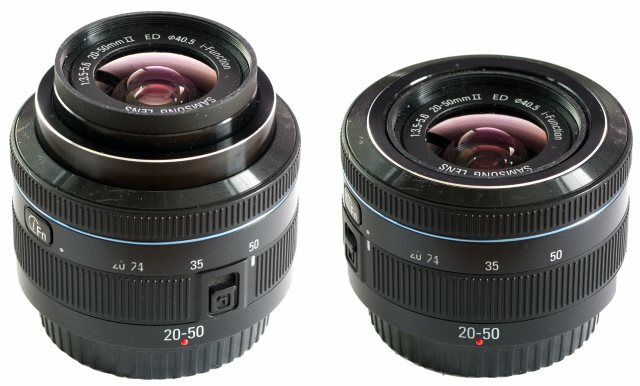 I will check whether this lens is worth the money. Compared to the Samsung 16-50mm F3.5-5.6 PZ kit lens it is about three times the size (= 9,7 cm depth) and about six times the weight (= 622 g). The lens provides image stabilisation (OIS) and has a dedicated switch for that. Additionally it has an AF/MF switch and the i-Function button. The filter thread has a diameter of 72mm, which is the same compared to the Samsung 50-150mm F2.8 S. It is declared to be dust and weather resistant, like all S lenses. You can find the most important aspects of this lenses specification in the NX lens overview or in the official technical specifications. 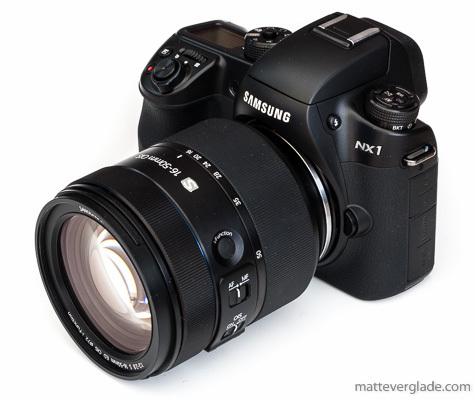 In my Samsung NX30 – Field Report I described that legacy lenses mounted on my NX30 produce green corners in the photos. Michael Tadd kindly posted a comment with a solution for this problem. In this post I’ll try to explain why this problem occurs and how it can be avoided.